Find a quality product with Private Label Rights. Customize the product and upload. Now, do note, I said three core steps. These are the main steps to getting a PLR product up and running. There are, of course, sub-steps. I’ll run through these steps with you in this post. There are many PLR vendors out there who are providing high quality PLR products. On the flip side, there are some who don’t. I’ve been creating PLR products since 2006, and hasn’t always stayed the same. Improvements were always made and are still being made. You can rest assured knowing the PLR products you’ll get here at Unstoppable PLR are high quality. You can view a list of all our products here. You’ll find many topics, predominately self-help and internet marketing. The next part is to customize and edit the PLR product. Anything you want, since you have the private label rights. Let’s say you want to add your name as the author of the eBook. Simply open up the Word doc (usually in .DOC format) and then type in your name on the front cover with something like “BY JOHN SMITH”. You can also give the product a new name or completely re-design it if you’d like. Now, if you don’t have a single clue where to begin, don’t sweat! I have a training course available for you to view for free called PLR Training Camp. It’s 2 hours long, so it is detailed and everything is laid out step-by-step for you. What I would advise you to do is to drive traffic to your opt-in page. Always. 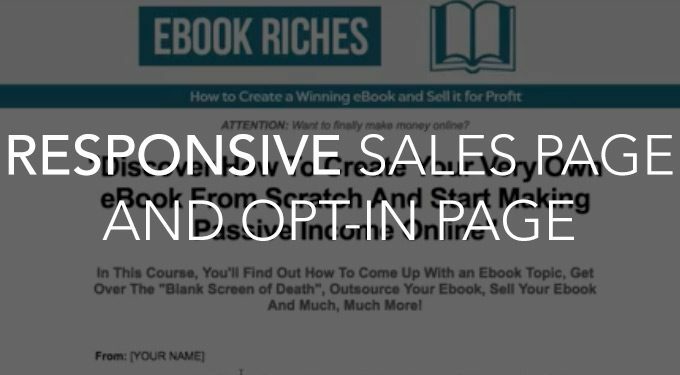 Why drive traffic to your opt-in page rather than just send them straight to your sales page so you can make sales? It may be tempting to want to make money quickly, but don’t take any shortcuts. You don’t want to waste any hard-earned traffic. You want to capture as many emails as you can. 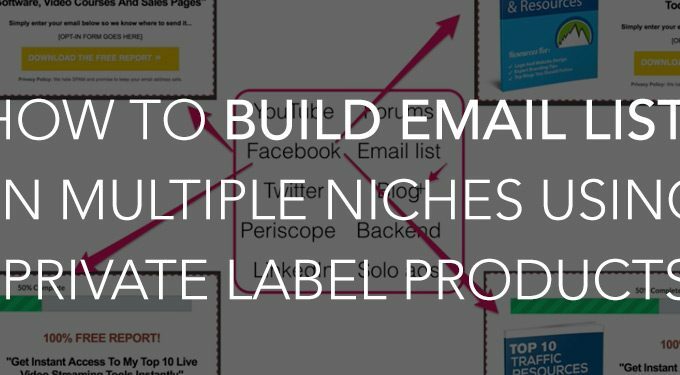 You want to capture as many emails as you can. I can’t stress out how important building a list is. 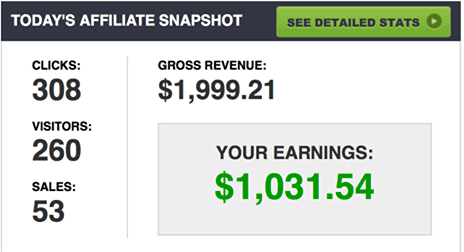 The other day for example, I promoted an affiliate offer, and with the power of my strong 20,000+ email subscribers that I’ve built over time, I was able to generate a healthy $1,031.54 in affiliate commissions. This was from one email I sent out. Not bad for something that took less than half an hour to do. So again, always make sure you’re driving your traffic to your opt-in page rather than trying to make the sale on first contact. Once you have them on your list, you can send broadcasts and follow-ups messages anytime. The big question now is – how do you get traffic? Here are a few methods you can follow to start getting traffic. Start blogging about the subject and promote the product on your blog. This is what I would call the “long term approach” to generating traffic. You won’t get traffic instantly, however, it is a great way to start building trust with your audience. Top that with regular content and you’ll gain repeat readers.You can monetize your blog by featuring your product(s) on the sidebar or at the end of your blog posts. Sites like ClickDrop – https://unstoppableprofits.com/clickdrop (affiliate link) and httpss://www.clickonomy.com are sites where email list owners sell “clicks”. These sellers will basically email out your offer to their list of subscribers. Provide them with your opt-in page URL, an email swipe and choose an available date for them to email your offer out. The cost ranges from anywhere from $0.50 – $1.00. You purchase based on a package such as 100, 200, 500 or 1000+ clicks. I recommend you start small and give 100 clicks a try first. The important part is to track your opt-in conversion rate. If the seller is sending 100 clicks, how many of those visitors opted in for your free report? All you need to do is look at your autoresponder stats. How many opted in? If 30 subscribers opted in out of 100 clicks, that’s a 3o% conversion rate. If you’re getting at least a 30% conversion rate, that is not too bad. To improve conversions, it’s simply a matter of testing different headlines, calls-to-action, the email swipe, and other elements like that. Testing and tracking is beyond this post which is something I’ll save for another. Join forums, communities and groups around your niche. Go to Google Communities, LinkedIn Groups and Facebook Groups. You want to make sure you participate, comment and be of value to others. The point is to build your credibility and be known. It is not a place to spam and post your offer. Avoid doing this or you’ll get banned very quickly. That wraps up this post. It definitely isn’t the be the be-all end-all, but I hope it has give you some tips to getting started.